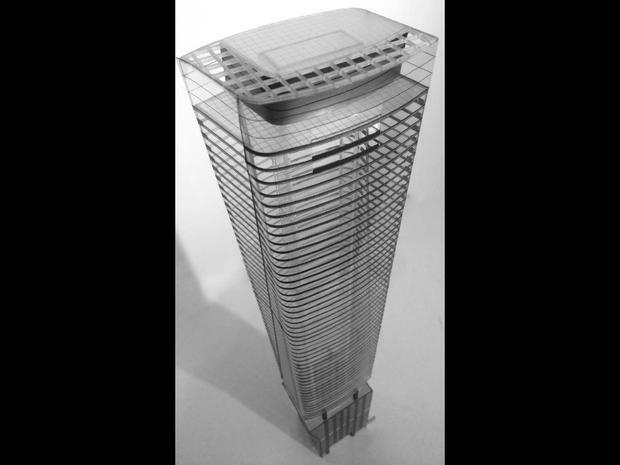 73-story tower proposed for 1000 S. Michigan Ave.
SOUTH LOOP — Helmut Jahn's sky-high vision for the South Loop is one step closer to reality. 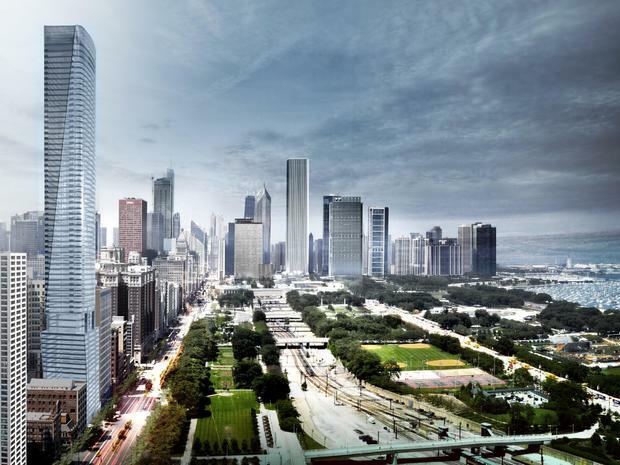 The Chicago Plan Commission on Thursday approved the 73-story, Jahn-designed tower proposed for 1000 S. Michigan Ave. If built, the tower would be among the tallest near the rapidly changing southern end of Grant Park. “It’s really going to have an impact on what the city looks like," Jahn, the architect behind the James R. Thompson Center and other buildings here, said. The approved tower is a shorter version of an 86-story tower proposed last fall. But South Loop neighbors bristled then at the tower's height and design, prompting Jahn to counter with a slightly shorter high-rise with rounded edges that actually get wider as they twist toward the top of the building. The new tower would be slightly shorter than a pair of skyscrapers at 113 E. Roosevelt Road approved late last year. The residential tower would contain 506 units, 358 of which would be luxury condominiums for sale. The proposal passed the commission unanimously, but two of its members — Ald. Tom Tunney (44th) and Ald. Walter Burnett (27th) — were concerned about the project's contribution to the city's affordable-housing fund. The tower was proposed just before the city raised its fees developers pay to opt out of including affordable housing. This tower, to be built by a joint venture of New York developers JK Equities and Time Equities, would contribute $828,000 to the city's trust. Yet architecture aficionado Butler Adams weighed in by saying the South Loop tower is already being referred to as "Big Jahn," compared to "Big John," nickname of the John Hancock Center. The proposal heads next to the City Council for final approval.